Enjoy this holiday season without climbing a ladder or weathering elements. We can also do window lighting that will be enjoyed by you and your guests from the outside and inside. Windows are great way to add elegance to a home as they display the holiday spirit. We provide well lit trees and shrubs and add spectacular twinkle to any landscape. This is also a great place to incorporate a splash of color are simply add pizzazz to you decorating your lawn. We provide turnkey Tulsa Holiday Lights decorating services to the most discriminating clients. We offer a variety of unique holiday decorating service options, each customized specifically to your property. Our trained team of professionals are focused on two things – providing a beautiful holiday display and making your holiday season as enjoyable and safe as possible. The framework on any breathtaking display begins with a detailed outline of your roof line. Really greenery will bring elegance to life at night. No displays complete without a well-placed wreath or greenery on columns banisters or doorways. Our displays are created using the finest holiday decorating products in the world! The holiday spirit comes alive when Christmas decor outlines walkways, beds, and driveways with beautiful ground lighting. This is a great option for rounding out the lower dimensions of the display and creating highlighted walkways for your holiday guest. Finish out your masterpiece by creating a warm, welcoming entry with beautiful daytime to court. Give us a call at 918-640-6405 or visit us online at www.greenleafweedcontrol.com for more information about all of the services that we offer to the people of Tulsa including Tulsa Holiday Lights. We are devoted to our craft and providing the people of Tulsa not only amazing seasonal services like light hanging, but we also are devoted to maintaining your lawn throughout the year with a variety of different services. Our services will make your Tulsa home more beautiful and festive than you ever thought possible. Tulsa Holiday Lights are one of our specialties at Green Leaf Lawn Service. We’ve been hanging lights for a number of years and we get better and better at it all the time. We are one of the best companies to have working for your home and will come out today for an estimate and a consultation. If you feel like the grass is always greener on the other side of the fence, don’t put up with a lackluster lawn this year. If you’re one of the many people who are determined to have a beautiful lawn when spring rolls around every year, you probably already know that the hard work that goes into creating it can be a little overwhelming. After all of the dirt, time, sweat, and effort you have to invest into your lawn, the last thing you want to happen is to let it go to waste. It is of paramount importance to know a few simple tips on lawn maintenance that will have your lawn looking great all year long. The first step is to fertilize. There are countless different tips and tricks when it comes to fertilizing your lawn, but most agree that it should be done at least once a year, although many experts recommend you do it much more. Fertilizing is just basically feeding your lawn, and it is essential in protecting it from the cold, scorching heat, foot traffic, and whatever else your lawn is up against. We do expert fertilization here at Green Leaf Lawn. Whenever it comes to mowing your lawn you want to get it right and have professionals to the job they know how to do. Try not to cut it too short, but it is fine to keep it looking trim. However when your lawn is place under more stressful conditions, drought, restricted watering, extreme heat or cold, it’s imperative that you not cut it too short. 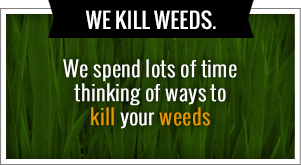 Doing so will prevent the grass from growing and in many cases kill your lawn. If this sounds a stressful process and you just don’t simply have time to pour into your lawn all the maintenance that it requires, give us a call at Green Leaf Lawn. 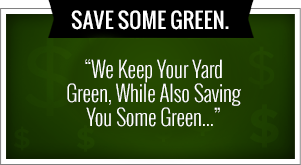 We will create a plan that will make your lawn more beautiful than ever before. Green Leaf Lawn truly cares about the Tulsa, Oklahoma community. We like to think of ourselves as a company that gives back to the community first and foremost. We have a wide range of services and every time that we implement a new service for a customer in the Tulsa area, we give five dollars to the school district of that customers choosing. We call this program “Cutting for the Kids” and it is becoming quite a success.